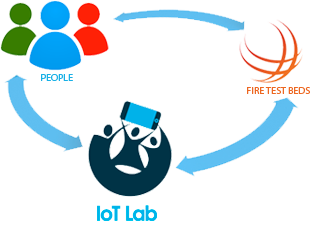 IoT Lab is a European Research project which aims at researching the potential of crowdsourcing to extend IoT testbed infrastructure for multidisciplinary experiments with more end-user interactions. Internet of Things (IoT) – what is your experience and perspective? What would motivate You to participate in crowd-driven research? The project is supported by the European Commission in the 7th Framework Programme for Research and Technological Development. This project has received funding from the European Union’s Seventh Programme for research, technological development and demonstration under grant agreement No, from October 2013 until September 2016.